All Pets Center is proud to be an AAHA-accredited clinic since 1983. AAHA is the only organization that accredits veterinary practices throughout North America. Practices that accept the challenge of accreditation are evaluated on stringent quality standards that encompass all aspects of pet care – ranging from patient care and pain management to team training and medical record-keeping. 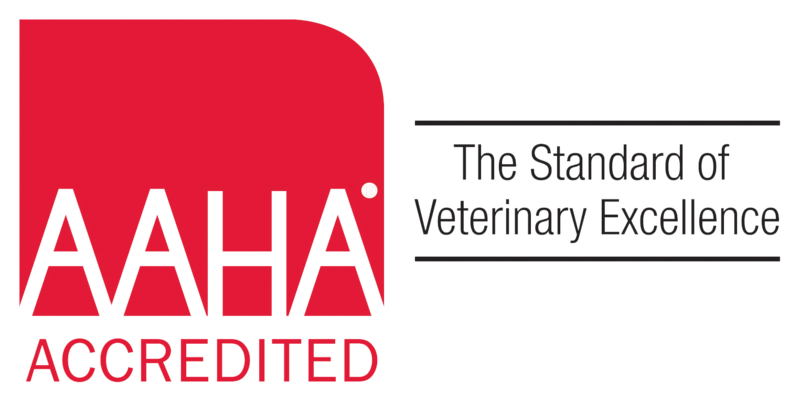 The AAHA Standards of Accreditation are continuously updated to keep accredited practices at the forefront of veterinary medicine and advanced business practices. Today, approximately 12% of veterinary practices in North America hold the “AAHA-accredited” designation. Accreditation through AAHA helps veterinary practices operate at a high level and enhances their ability to provide excellent patient care. Learn more about AAHA here. "I can't recommend them highly enough - they are by far the best vet practice we've dealt with in 30 years. We moved here from Ft Collins a few years ago and have been bringing our pets here ever since. Dr. Asmus is kind and extremely capable - all of the staff are very caring and professional. Highly recommended."